A severe outbreak of mange bears in Pennsylvania has resulted in a three-year research project that includes three dozen collared bears. A severe outbreak of mange in the Pennsylvania black bear population has resulted in a combined research effort between researchers with Penn State University and the Pennsylvania Game Commission for a management plan. Mange is a contagious skin disease caused by parasitic sarcoptes mites. It causes severe hair loss, and in some cases is fatal. According to Penn State University, a group of biologists, immunologists and entomologists with the university’s College of Agricultural Sciences will focus on bear ecology, movement and immune response. The group also will study the genetics of the mites and also ticks the afflicted bears are carrying. 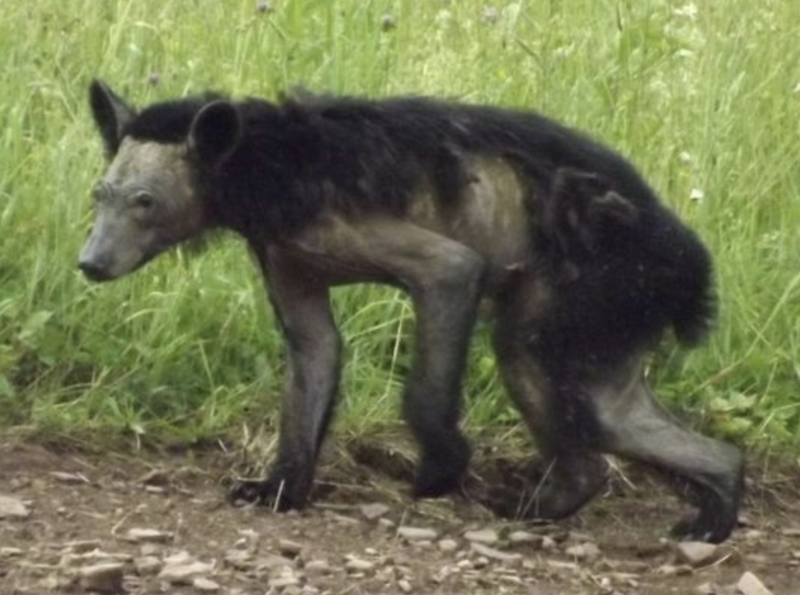 "Mange is a recurring problem in Pennsylvania, but it is occurring at an accelerating and seemingly unprecedented pace in bears," lead researcher Erika Machtinger, assistant professor of entomology and a certified wildlife biologist said in a PSU news release. "We want to work with the Game Commission to try to figure out what's going on. Different species of skin mites can be found in bears in other states, but this severe outbreak of sarcoptic mange is a unique Pennsylvania situation." Thirty-six bears will be trapped, affixed with radio collars and tracked for two years. Blood and tissue samples will be examined from the bears. Of the 36 bears, 12 will be healthy, 12 will have moderate cases of mange and 12 will have moderate cases but also be treated with Ivermectin. That common drug is used to treat animals with parasites. Game Commission officials estimate the state has about 30,000 bears.